A deadly suicide bombing at a campaign rally in Southwestern Pakistan shocked the nation on Friday. The country had been in full campaign mode ahead of general elections to be held at the end of the month. It was the latest headline in a hectic, chaotic and now deadly run-up to polls. The death toll in Friday’s suicide bombing reached 149 on Sunday when officials found that some bodies had not been brought to any hospital, according to Dawn newspaper. 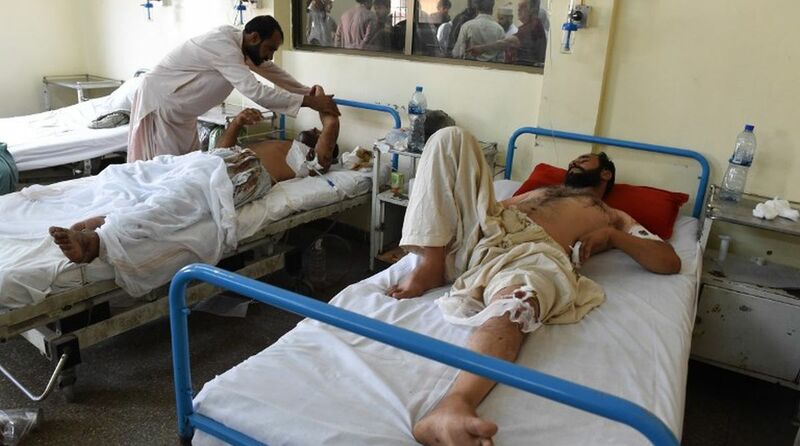 The country has been in the grip of renewed attacks by terrorists who have targeted three election candidates in blasts, killing more than 170 people and injuring over 200 others over the past weeks. Islamic State terrorists have claimed responsibility for the attacks as the militant organization aims to disrupt the electoral process. Pakistan was placed on a terror-financing grey list in June following lobbying by the United States, Germany, France and the United Kingdom, all who argued that the country had not done enough to crack down on money laundering by militant groups and terror financing from citizens. The country had spent three years on the ‘grey list’ between 2012 and 2015, with the designation affecting its ability to float international bonds, borrow from multilateral bodies, receive or send remittances or conduct international trade. While the government said it would introduce legislation to change the listing, Interior Minister Ahsan Iqbal warned the global community that placing the country on the watch list of countries funding terrorism would be counter-productive and embolden terrorists. The interior minister said that the move would hurt Pakistan’s capability to fight terrorism, and questioned whose interests would be served by putting Pakistan on the watchlist, according to Dawn. He added that Islamabad has been diplomatically engaging different countries to apprise them of the measures taken in the war against terrorism, adding that he hoped the international community would recognise Pakistan’s sacrifices in the war against terrorism. After Friday’s bombings, National Coun­ter Terrorism Authority chief Dr Suleman Ahmad informed the Election Commission of Pakistan (ECP) that there were serious security threats to political leaders and electoral candidates and revealed that the leaders of almost all major political parties faced the risk of being attacked. Despite this, the ECP vowed to hold elections on time and declared that the electoral process will continue despite terror threats. It made it clear that it would neither let the polls be delayed nor would brook any hindrance in its way. The ECP underlined the need to tighten security across the country and create a peaceful environment for the elections. Pakistan People’s Party Chairman Bilawal Bhutto-Zardari said on Sunday that terrorists wanted to derail democracy in Pakistan through fear. They, however, will not succeed, said the young leader. “I want to reiterate that the PPP wants the elections to take place on time,” he said, adding that a level playing field was also necessary. Pakistan has had a long and much-discussed problem with militants operating in its tribal areas that border war-torn Afghanistan. Kabul, western allies and NATO have accused the country of being a harbour for terrorists operating in Afghanistan and a safe haven for fleeing militants. It is a claim that Islamabad strongly denies, repeatedly stating that no country has borne the brunt of fighting terrorism like Pakistan has. President Donald Trump’s administration has been exploring ways of hardening its approach towards Pakistan to crack down on alleged Pakistan-based militants reportedly launching attacks in Afghanistan. Potential Trump administration responses being discussed include expanding drone strikes, redirecting or withholding some aid to Pakistan and perhaps eventually downgrading its status as a major non-Nato ally, according to the officials. “If they don’t change their behaviour, maybe we should change our behaviour towards Pakistan as a nation,” he insisted.